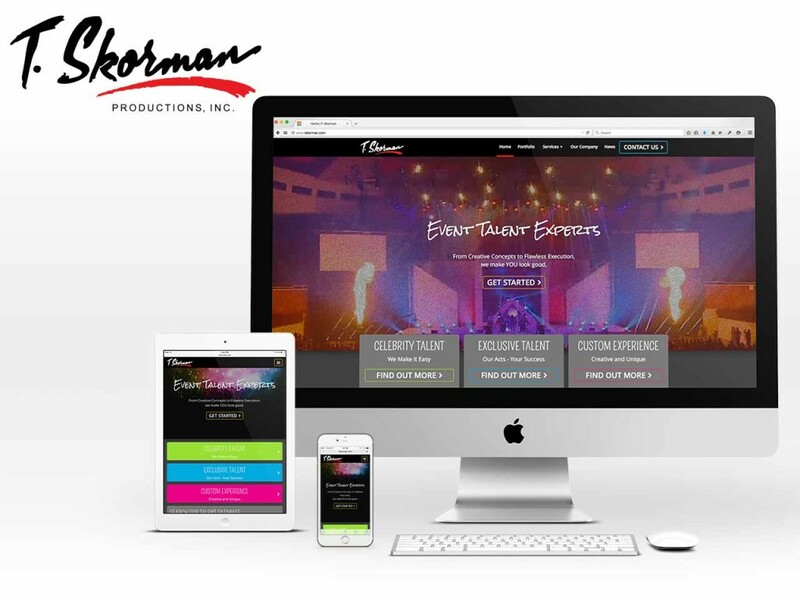 T. Skorman creates custom event experiences featuring exclusive and celebrity talent – they pride themselves on being event talent experts. The talent can include anything from high-flying acrobats to famous celebrities like Diana Ross and The Lumineers. 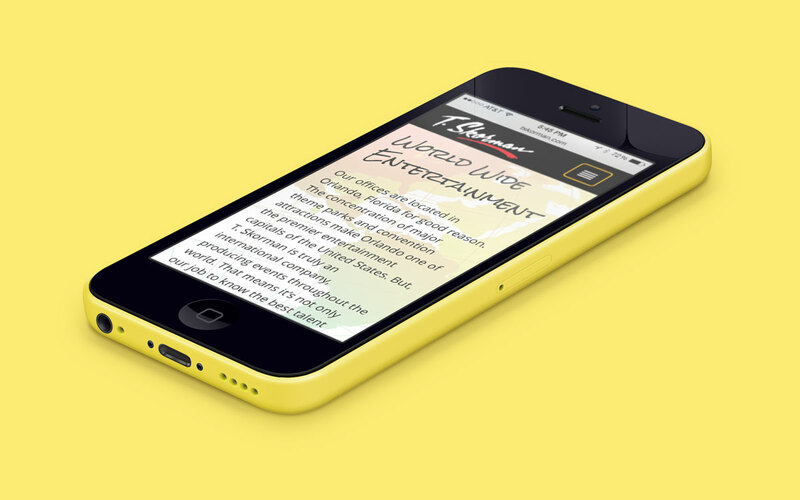 The original T. Skorman website needed an excitement injection to match their company vibe. 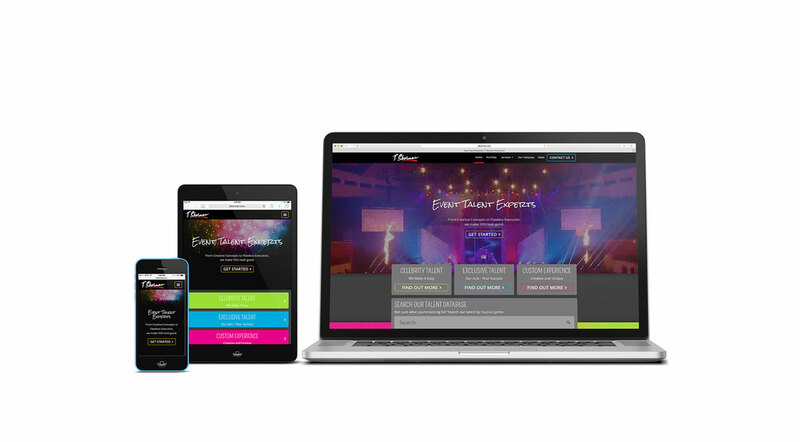 Segments of the website were a bit outdated and they were in dire need of a refreshed web experience for the modern mobile era. 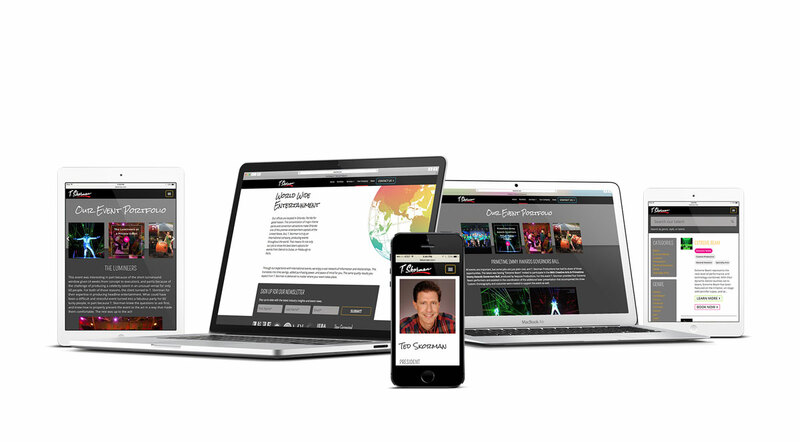 The Treefrog team was tasked with building a new website and creating a searchable talent database that their clients could use to find and book talent. 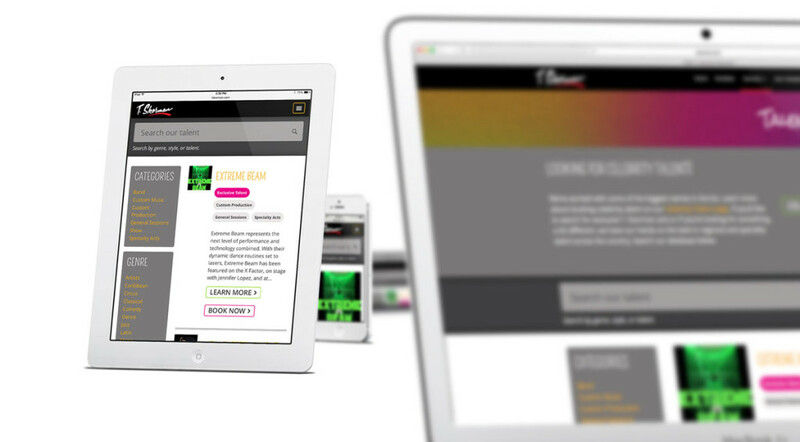 The T. Skorman website needed something to set the tone for the company. They deal in entertainment, and we could find no better way to greet users than with a video. The design showcases their incredible personalities in a stunning visual representation. We really pushed for bright, vibrant colors to get people excited. Since T. Skorman got their start in the 80’s, we added touches to reference that era including the chevron patterns and neon colors.